Web Desk: There are almost 200 countries but only few countries termed as the richest countries globally. The annual revenue of these countries is in billions and trillion of dollar. Here are the 10 richest countries in the world. Their economy is primarily based on selling the huge reserves of oil this tiny middle eastern nation is blessed to have.With an unemployment rate of 0.4% and a GDP of $124,930. This tiny European nation has a population of just 600,000. The unemployment rate is at a steady 5%. The economy of Luxembourg is primarily based on steel production and international banking. The dense forest also helps local businesses. The GDP per capita is $109,190. Not too shabby for such a small nation. The economy of the country grew by over 2.5% year-on-year in the first quarter.Its GDP per capita is about $90,530. Banking, industry, international trade, and labor specialization are keys to the economy in the country. 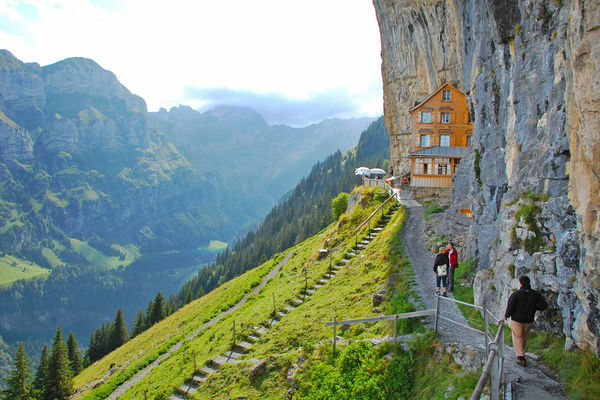 Tourism also plays an important revenue earner for Switzerland. This tiny nation nestled between the Alps has a population of just under 9 million and a GDP per capita of over $80,000. Brunei is the second most developed country in South East Asia after Singapore. Its economy depends on oil and gas, exports and trade with nations, however, it has been able to keep economic stability due to its well-diversified investments. Brunei has a GDP per capita of $76,740. Norway one of the happiest countries in the world to live in and also one of the richest countries in the world. The economy of Iceland was accelerated due to wise investments and construction growth. The country offers high salaries for individuals and strong domestic spending. Iceland has a GDP per capita of about $72, 630. Kuwait has invested a large portion of funds to accelerate growth in other areas and the results have been quite impressive. The GDP per Capita for Kuwait is just shy of $70,000. The United Arab Emirates is a conglomerate of 7 Arabic states with Dubai. It is one of the most populous and controlled by a royal family. With a GDP per capita of $68,250, this oil-producing nation has left no stone unturned to make the UAE one of the most developed nations in the world. Hong Kong has the title of the easiest place in the world to do business in South East Asia. A lot of companies set up their offshore headquarters in Hong Kong because of they’re relaxed policies and liberal tax laws.